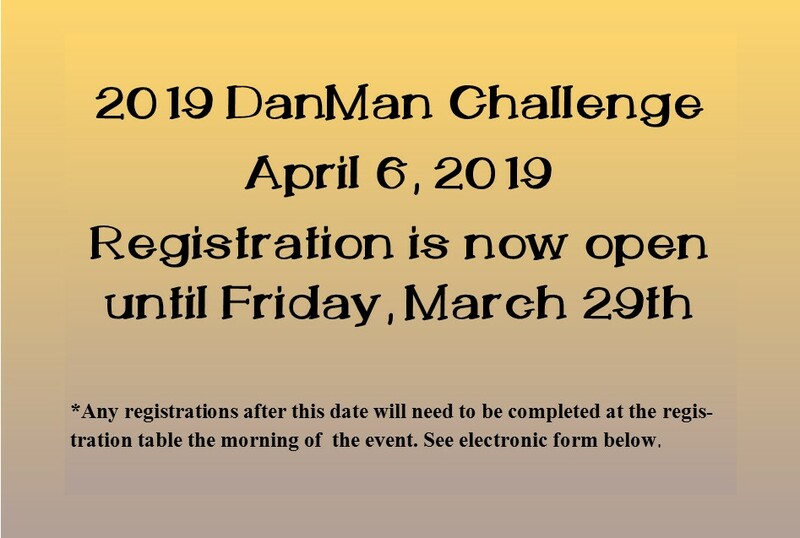 The DanMan Challenge will take place April 6, 2019 on the Oteka D. Ranch near Madill, Oklahoma. Starting at 8:00am, runners will toe the line for races of 10k, 1/2 marathon, marathon, and 50 miles. There are no entry fees but register early. The right to limit entries is reserved. The DanMan Challenge is designed to introduce runners to trail running, to encourage runners to run farther than before and to make the leap to 50 miles without worrying about cutoff times. The races will be on ranch roads and wide dirt trails up and down hills through beautiful country with deer, turkey, and even two bald eagles on Lake Reuel. All races begin and end at the Ranch House with the longer races looping repeatedly by the Ranch House. Also, timekeepers will not be provided but there will be a race clock positioned at the finish line for runners to keep their own time. Water, electrolyte drink, bananas, oranges, peanut butter and jelly sandwichs, etc will be furnished at the main ranch house support station. Water will be at unmanned tables on the north and south ends of the west loops. Extra clothing and your own food, drink, flashlights, etc., may be kept at Ranch House. You will be looping by the parking area with easy access to your car. The DanMan is a great race for family and friends. The Ranch House will be warm and there is a playground for kids. Johnny and Jackie will cook the pancakes (morning), Barbeque, turkey legs, catfish and who knows what during the day for runners, family and friends. Because a menu wil be prepared according to the number of registered runners please let us know as soon as possible if you are unable to make it to the DanMan. Early Registrations will not be accepted after March 29th. If you miss early registration, please arrive early to register the morning of the run. In the event of predicted terrible weather (blizzard, ice storm, howling winds, really bad stuff), please list your email address and telephone number on your entry form so you can be contacted if the race date is changed. Please check www.danman.com for updated information. Maps of the course will be posted for runners at the ranch house the moring of the run and throughout the day. Each loop ends at or near the ranch house so you will never be more than 3.5 miles from a water station or your vehicle. Lake Reuel Loop (6.2 mi) - All runners will begin on this first loop which is mostly dirt roads with a few mildly technical areas. The water station is located mid-loop. Lake Oteka Loop (6.9 mi) - 1/2, Full Marathon and 50 mile runners will move on to this loop which is mostly dirt and small gravel roads. The water station is located mid loop. Lake Charlie Loop (4.36 mi) - 50 mile runners will run this loop which is mostly dirt and small gravel roads. The water station is located mid loop. The 2019 DanMan Challenge sponsors are Little Law Firm, PLLC, Little, Oliver & Gallagher, PLLC, Scott Gallagher, Steve Oliver & Dan Little. Take Hwy 70 east from Ardmore - Exit 29 on Interstate 35. Travel approximately 20 miles to Cedar Hill Road on left. Watch for signs. Turn left and travel north on Cedar Hill Road 1.6 miles to top of hill and rock gate to Oteka D. Ranch on your left. Turn left into the ranch. Travel 2.4 miles north and northwest on the gravel road in ranch (across dam) to top of the hill and curve to the right right. Follow signs to Ranch House. Park in field north of Ranch House. Travel west on Hwy 70 toward Oakland .8 miles to Oakland Grocery and continue west on Hwy 70 another 2.5 miles to Cedar Hill Road on right - total 3.3 miles. Watch for signs. Turn right and travel north on Cedar Hill Road 1.6 miles to the top of hill and rock gate to Oteka D. Ranch on your left. Turn left into the ranch. Travel 2.4 miles north and northwest on the gravel road in ranch (across dam) to top of the hill and curve right. Follow signes to Ranch House. Park in field north of Ranch House. I recognize running is a dangerous event and that there are health risks and other risks associated with this type of event. I understand and acknowledge that my participation in this event is voluntary and I am knowingly and voluntarily waiving any and all potential claims, known or unknown, against the hosts of this event, the support staff, the owners and occupiers of the land, and anyone associated with or putting on this event. I recognize that medical aid is limited. Despite the fact that I am forever giving up all claims against all people or entities associated with this event, I desire to participate in the event.